What shall I wear and bring with me to yoga? Wear loose comfortable clothes or leggings that you can easily move in. Yoga is done in bare feet. I provide mats and blocks although feel free to bring your own if you wish. Bring a bottle of water. Although it is generally recommended that you do not eat for at least a couple of hours before practicing yoga, this recommendation is relaxed if you are pregnant. If you know you are prone to low blood sugar levels it is fine to have a light snack before coming to class. Pregnancy Yoga– blanket and 1 or 2 cushions/pillows. This is so your knees are comfortable when on all fours and for warmth during relaxation, therefore the amount/size of cushions may change as your pregnancy progresses. Mummy & Baby Yoga – bring a blanket to put your baby on and any favourite toys and usual baby paraphernalia. If your baby doesn’t like spending much time on their back then consider bringing a bouncy seat or car seat to give you more options. You are free to feed, change and cuddle your baby on your mat as required. Hypno-Yoga Birth Preparation workshop – blanket, 2 pillows or 1 pillow/cushion & 1 maternity pillow (the aim is to be really comfortable during the hypnosis and relaxation sessions so whatever you feel you need), Birthing Ball - essential for this workshop. Its a long session so bring some snacks. I have never done yoga before, are these classes suitable for me? Yes, absolutely, no previous yoga experience is required. 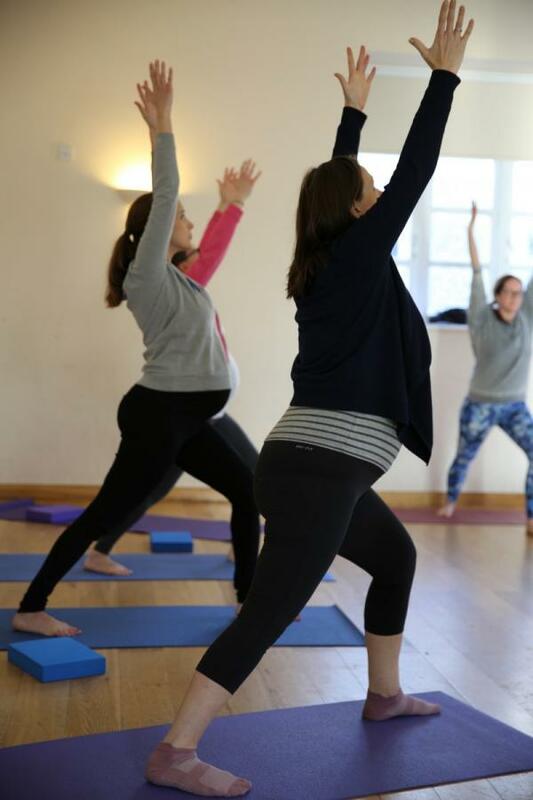 Both Pregnancy yoga and Mummy & Baby yoga are modified practices, which specifically address the needs of the pregnant and postnatal body. Flexibility is definitely not a requirement! I understand that women will often feel nervous about coming to their first class if they haven’t done yoga before, but you will soon see there is really nothing to be worried about! Actually the class makes you feel really good – both calm and energised at the same time! Hypno-yoga Birth Preparation workshops work well in conjunction to my pregnancy yoga classes but this is not essential. No previous yoga experience is required. Burnham - Free parking is available in the car park directly next to Burnham Park Hall. If you are staying at the venue longer than 2 hours (there is a café so you may do if coming during the day) make sure you give your registration number in at reception. Occasionally if there is a lot going on at Burnham Park Hall the car park may get full but there is free parking available on surrounding roads so it is never really a problem. Marlow - It is important that we park in the unnumbered spaces only. Only 3 minutes from Clivden, along Nashdom Lane which is a country road. Look out for the big pink flag outside. Ample free parking. "The midwives were very complimentary about my breathing technique (all thanks to you), and they couldn’t believe I didn’t graze or tear - they said I had a perineum like lycra (again, thanks to your pelvic floor muscle exercises…)"
Understandably this is a very common concern! 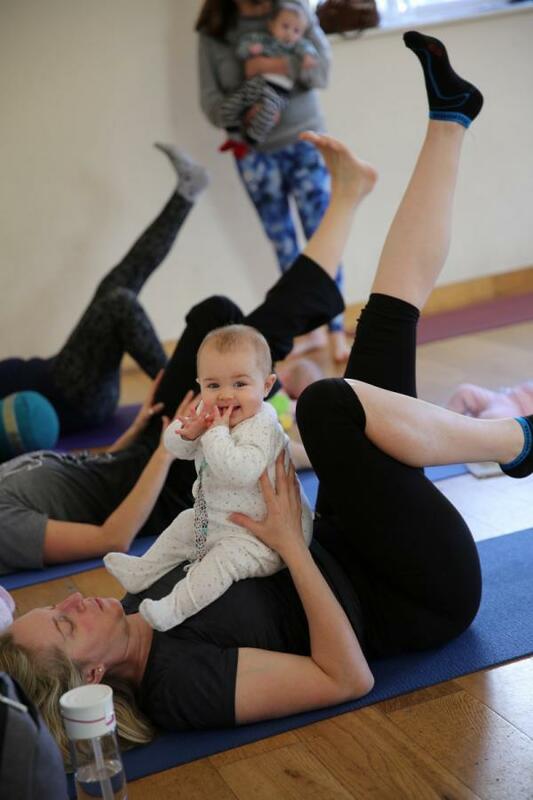 Mummy & Baby yoga classes are very informal and relaxed and we have no expectation that this will be a quiet yoga class! Crying babies don’t ruin the class in any way. You will find that the more you relax and grow in confidence, the more settled your baby becomes. You are free to respond to your babies needs as they arise and feed, change and cuddle your babies on your yoga mat. If necessary, many of the practices can be done with babies in your arms or lying on you. I am also always on hand to help out with cuddles as required! It is always a good idea to bring your baby well fed as this will maximise your chances of getting as much of the class in as possible. What happens if I can’t make it one week? As long as you give 24 hours notice you will be able to move your booking to another class through the booking system. 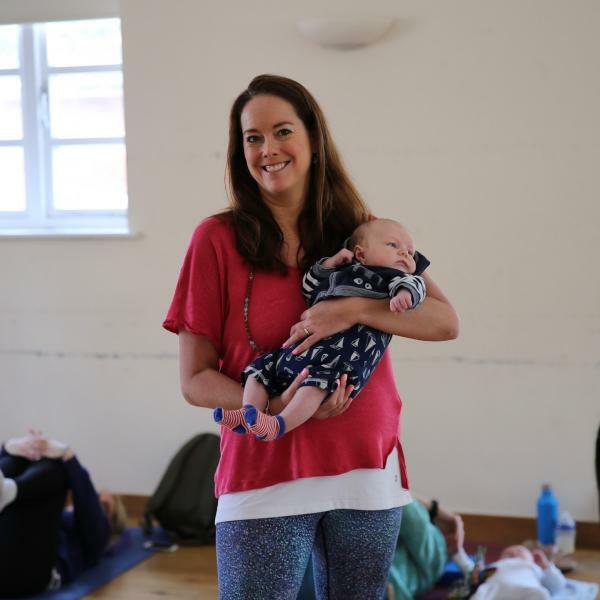 Any classes that you don’t use in your block before your baby arrives will be carried over to mummy & baby yoga.